January 28th – On this day in 1547, Henry VIII “dyed at hys most princely howse at Westminster, comenly called Yorkeplace or Whytehall” (Stow). The house, or rather palace, was originally built for the Archbishops of York in the thirteenth century, circa 1240, when it was known as York Place. It was acquired by Henry VIII from the then Archbishop of York, Cardinal Wolsey, in 1529. This was not long after a fire had rendered parts of the nearby Old Palace of Westminster unusable, in 1512. Under Henry, the palace was renamed Whitehall, and the populace was reminded “You must no more call it York Place: that is past; For since the Cardinal fell that title’s lost. ‘Tis now the King’s, and called Whitehall” (Shakespeare, “King Henry the Eighth”). The palace was extended both by Henry and by James I. 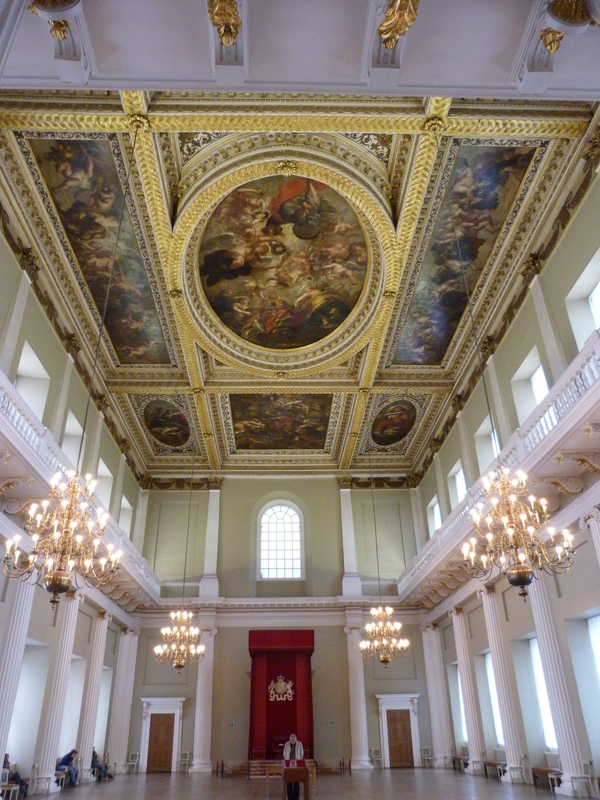 It was undamaged in the Great Fire of 1666, but substantially burnt down in another fire in 1698. 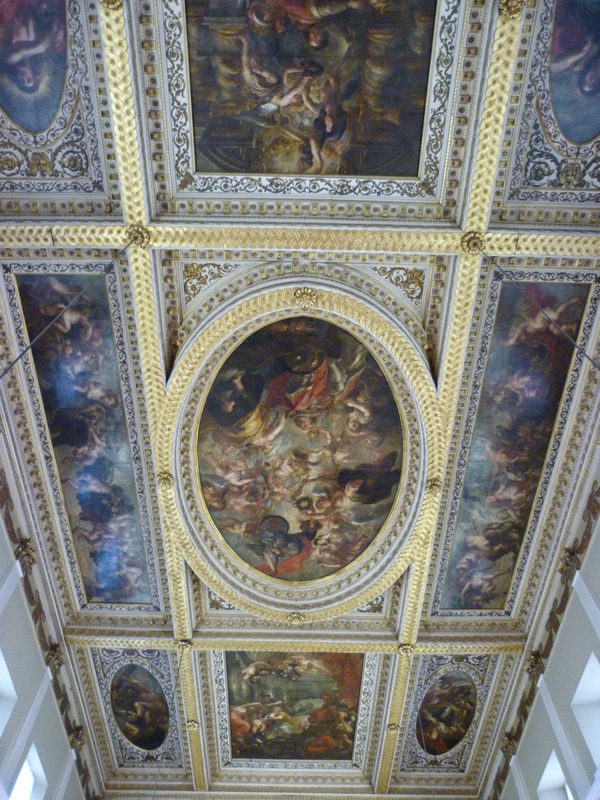 Essentially only the Banqueting House, designed by the Neo-Classical or Palladian architect Inigo Jones in 1622, and notable as the first Renaissance building in London, with a ceiling by Rubens, still stands (together with: “Henry VIII’s wine cellar” in the nearby Ministry of Defence building in Horse Guards’ Avenue; the site of his tilt-yard in Horse Guards’ Parade; part of his real tennis court in the Cabinet Office building at No. 70 Whitehall; and “Queen Mary’s Stairs”, built in 1691, on the Embankment). 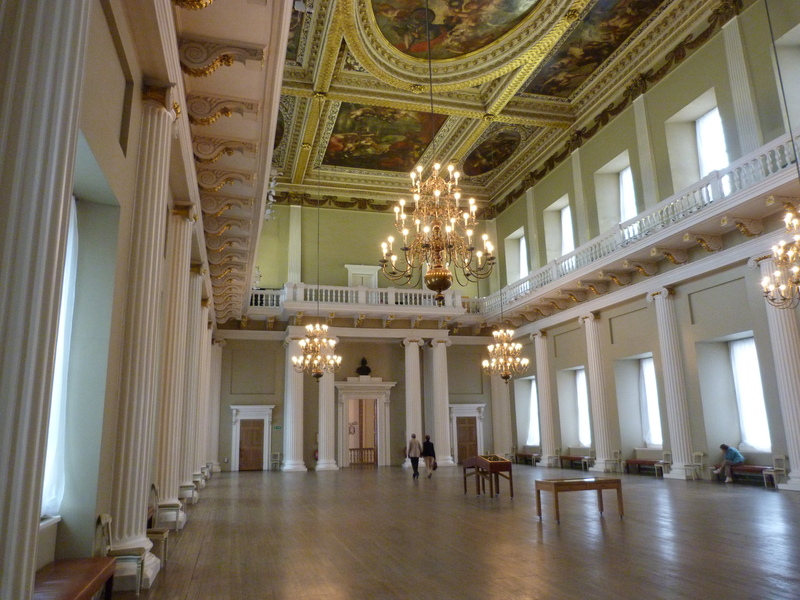 Charles I was executed outside the Banqueting House in 1649. The Holbein Gate, built in 1532 and notable as the probable place of the clandestine marriage of Henry VIII and Anne Boleyn in 1533, survived both fires (i.e., 1666 and 1698), but was demolished in 1759. 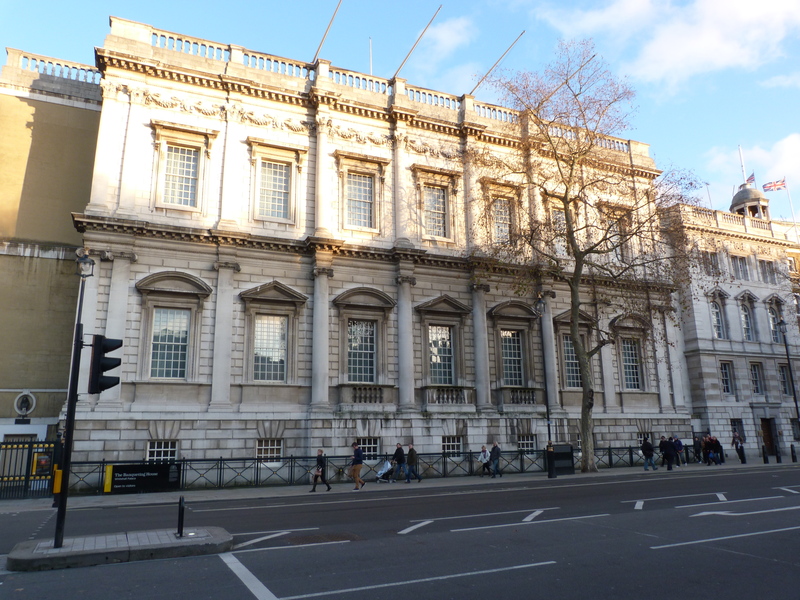 This entry was posted in 16th century London, On this day, Site is on a Lost City of London Tour, Tudor and tagged Banqueting House, Inigo Jones, John Stow, King Henry VIII, Rubens on January 28, 2015 by Bob Jones - The Lost City of London.